NOVEMBER 29—The Alumni Society brought together an exclusive group of its Chicago members for its first-ever Influencers Dinner: Chicago. The event was hosted by Heidrick & Struggles at Soho House. The dinner is also the first event with new partner Heidrick & Struggles, an international recruitment firm headquartered in Chicago. Carlos Garcia, one of the earliest members of The Alumni Society and partner at Heidrick & Struggles, flew in from Los Angeles. Garcia leads the supply team and operations practice at Heidrick. 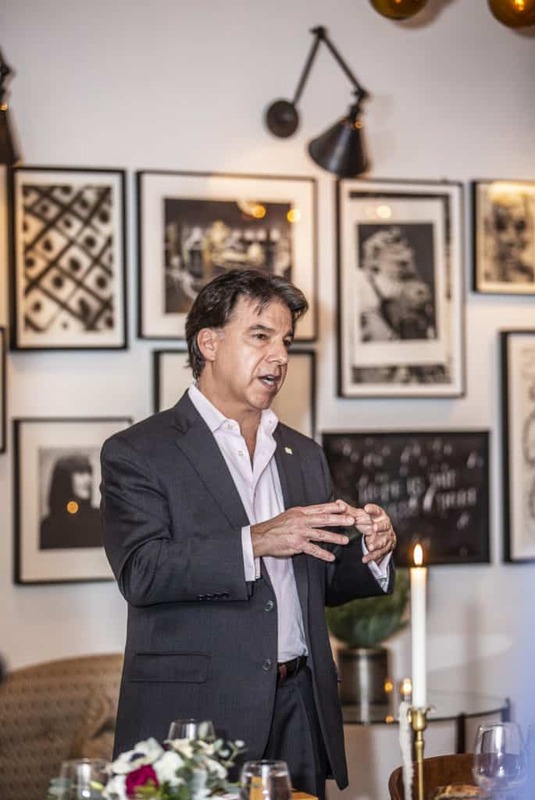 He shared his thirty-plus-year career journey with dinner attendees—from line management and manufacturing to partner at Booz Allen Hamilton to executive search—and asked attendees to think about how their careers evolved. The objectives to the night’s conversation were to share perspectives on Hispanic leadership opportunities and consider what stepping into executive search might look like. Guerrero recalled being at a conference where he heard the CEO of a Fortune 100 company remark how the people he works with don’t give him résumés of Latino candidates. “I was shocked. It’s 2018,” Guerrero said. 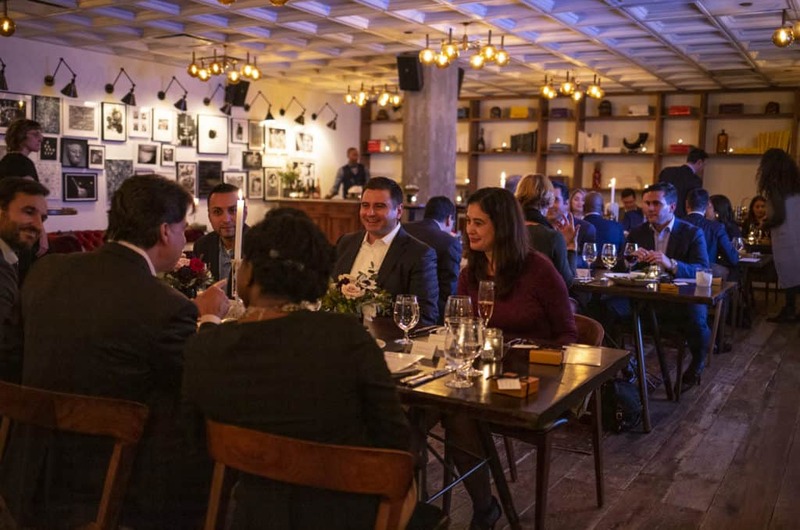 Over dinner, leaders spoke with each other about opportunities for Hispanic leadership and, at the end of the night, walked away with strengthened connections. The event brought together leaders from Bank of America Merrill Lynch, Accenture, Heidrick & Struggles, Sodexo, and more.